No matter if you run your own business, work in the public or private sector or at an NGO. God has a plan and purpose for your work life! International Christian Chamber of Commerce is a global network for people in the work place. We want to inspire, equip, serve and challenge each other to take the calling of God seriously, learn to walk by faith and build our working lives on the rock, Jesus Christ. The ICCC is represented in 73 nations on every continent on earth. 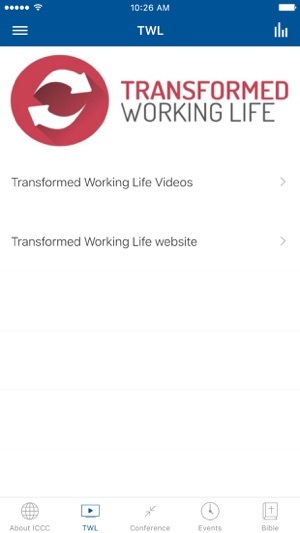 This app features content and updates from our organization for members and non-members. 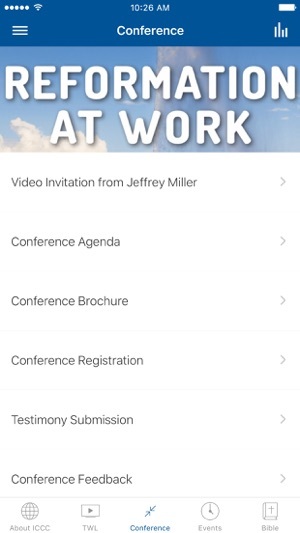 Training and equipping material is available to be streamed to your mobile device! We will be regularly adding content and updates about ICCC conferences and events so keep checking back. 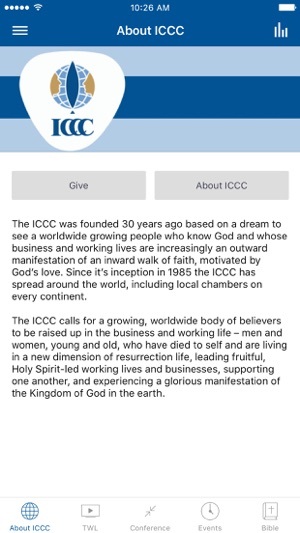 The ICCC App was created with the Subsplash App Platform.